I paid $5.10 for my kit according to the register tape still in the box back in the 70's. Quite an inflation in price since then. Primary users: United States Army Air Corps, Royal Netherlands East Indies Army Air Force, Turkish Air Force, Chinese Nationalist Air Force, Argentine Air Force. Number built: 121 B-10, 82 model 166, 32 B-12's, 348 of all variants including 182 export versions. This kit has a copyright date of 1974. It was re-released again in the 1950's, 1991 and 2013. Williams bros. is at 141 Pawnee St., San Marcos, CA 92069. The box art shows a B-10 flying above the clouds.It is overall navy blue with yellow wings and tail. It has a black vertical bar with red and white horizontal bars behind it on the rudder sides. It carries a yellow fuselage number 164 outlined in white behind the rear dorsal cabin and a smaller white 164 on the sides of the nose. Also on the nose is a black triangle outlined in white with a white skull and cross-bones on it. This aircraft is with the 31st Bomber Squadron. The kit does not identify it with this group, but I have an old Airpower magazine from May 1972 that has a big article on the B-10 in it and shows a black and white photo of a row of B-10's lined up and with this skull and cross-bones insignia on them. It also has a color profile across two pages of a B-10 with the logo of the man with the top hat on the nose. It is with the 11th Bomber Squadron. ​There is a one paragraph history of the B-10B at the left on the box art over a list of kit features: landing gear may be installed in any of 3 positions - retracted, struts extended, struts compressed. External bomb rack and bomb. 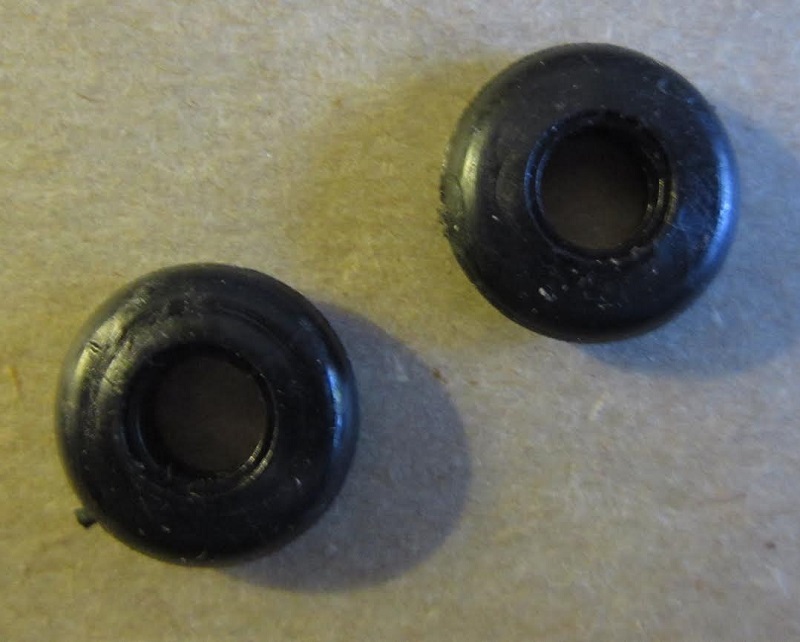 Two types of wheels choice (hard or flexible). 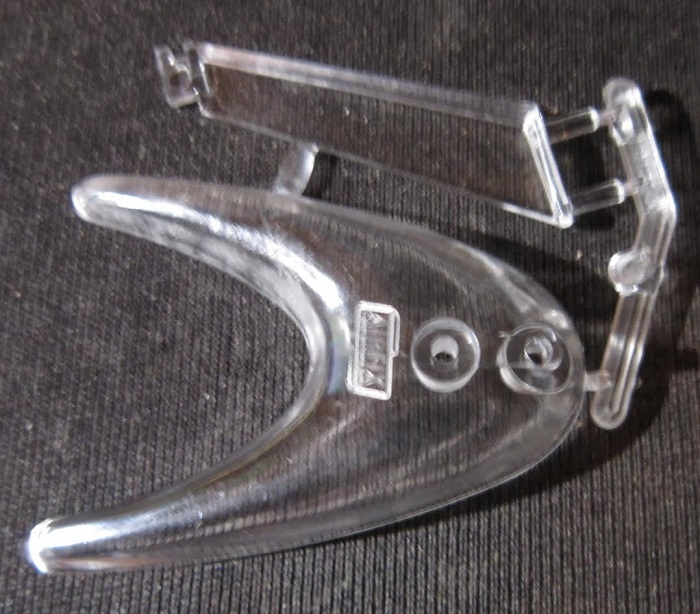 Clear plastic display stand. Choice of different squadron markings. Decals by Micro Scale. These 3 different squadron markings are shown. 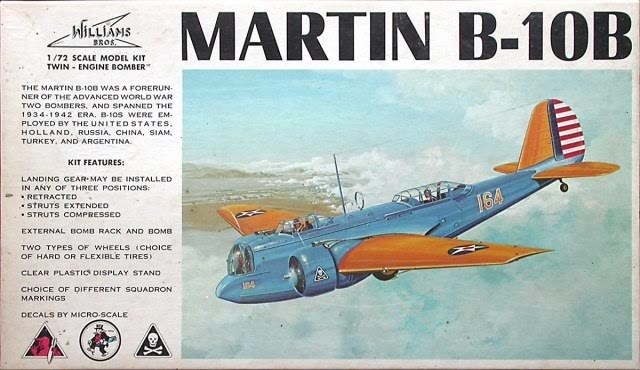 One side panel shows color box art of a Boeing 247 kit that Williams Bros. markets and tells about it, followed by another small paragraph about the history of the B-10 by a small color repeat of the box art. The other side panel shows illustrations of machine guns and engines Williams Bros. markets to add to RC aircraft models and their street address. This kit contains a bright yellow tree and a navy blue one in a sealed cello bag. A clear tree, a black tree and vinyl tires are in another small cello bag. The decal sheet and instructions complete the kits contents. The instructions consist of a single sheet printed on both sides in 10" x 17" page format, folded several times to fit the box. 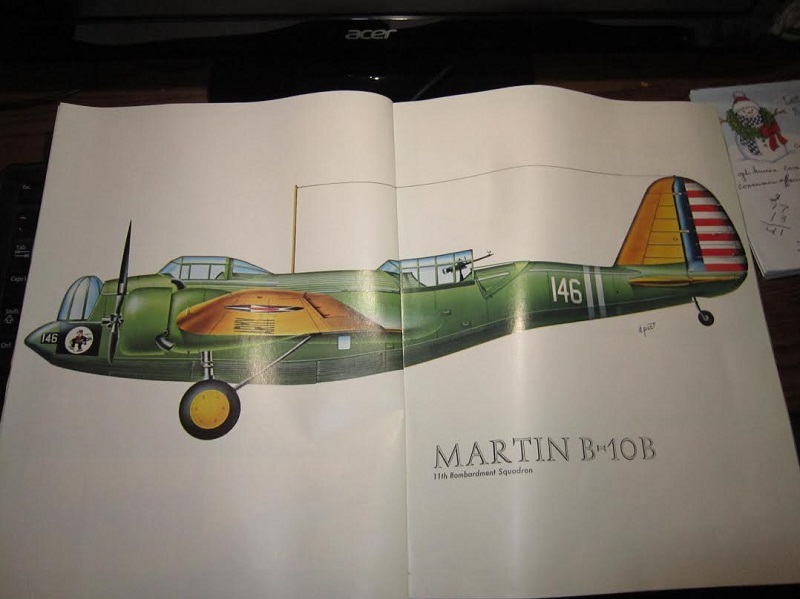 The face side of the instruction sheet has a small history of the B-10, IMPORTANT READ BEFORE STARTING ASSEMBLY instructions, text about section assemblies, painting, decaling, conversions and display stand assembly. 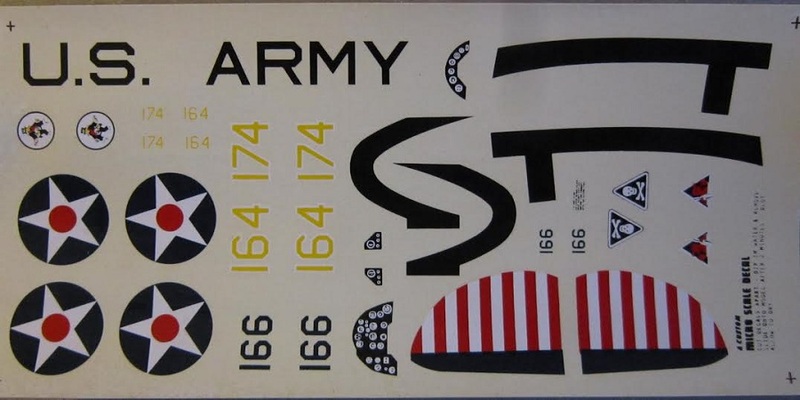 The other side of the sheet has multiple exploded drawings for assembly, over a 3-view of the box art subject, illustrations of the noses of B-10's from the other units. One with a black triangle outlined in white with a red devil holding a white bomb. I haven't been able to identify the squadron this is.the one with a white circle outlined in black with a figure of a man in a top hat carrying a bomb on it. 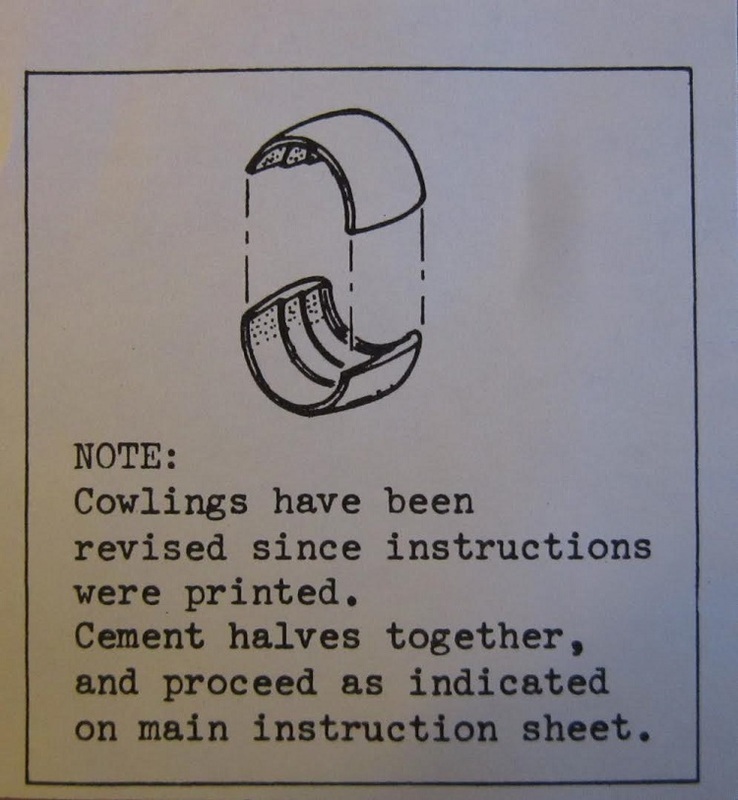 There is a slip in the kit about corrections made to the cowlings since the instructions were printed. ​Trees are not alphabetized, nor do they have number tabs next to the parts on the trees. ​The black tree holds 2 parts of the display stand. ​Finally is the 2 black vinyl tires. Parts are all cello bagged. 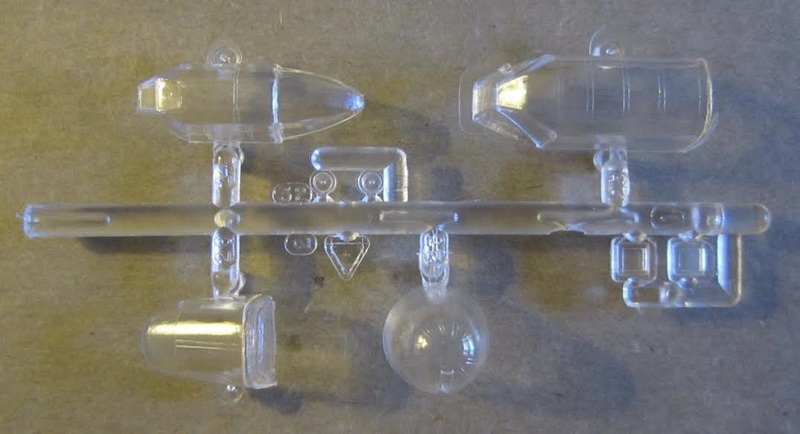 This is a neat kit of this early U.S. bomber and I know of no other kit of a B-10. 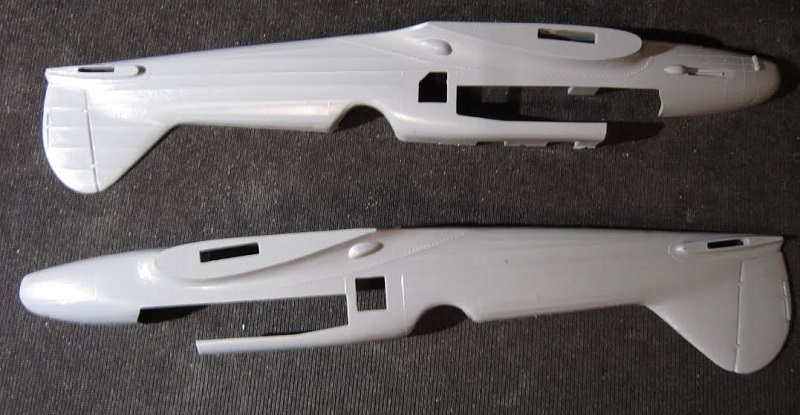 Also, being molded in the colors that it is will save some painting. ​I bought my kit back in the 70's for less than 1/4th of what it sells for today.